We lovers of the macabre find comfort in things that other people find unsettling. My own home is full of unsettling paintings, eerie memorabilia, and other things that suit my taste. It's all a celebration of the darker side of life, and what better place to contemplate mortality than in the comfort of your own home? 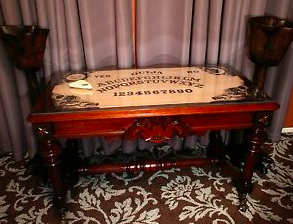 Presented below are some of my favorite finds to decorate your home in a morbid style. Soon you'll have your own Addams Family love nest! A comfortable home begins with a comfortable bed and nothing will make you more comfortable than soft fleece blankets! I really love the skull one, but the red bat one works better with my room's color scheme. This elegant Victorian touch brings a touch of old world mystery to your bed. 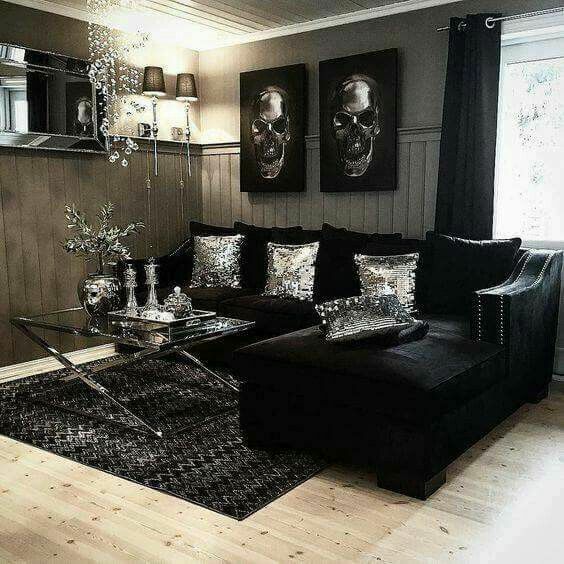 If your walls are too stale and bland, check out these lovely Victorian-inspired skull wallpaper prints. 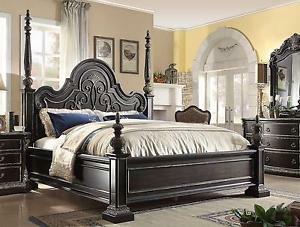 For those of you with a little money to spare, this commanding dark wood bed is the perfect place for sinister comfort and opulent living. 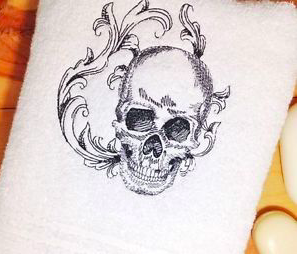 This lovely towel set brings a little bit of gloom to your bathroom routine. Killstar makes some of the most fun home furnishings out there and I have a set of these pillowcases on my bed! One of the most enchanting and macabre pieces of any collection, these are a great addition to your collection. There was something strangely lovely about old style anatomy charts and these make an excellent addition to your home. The perfect plate set for when you have a small get-together at your eerie home! For those of you with really deep pockets, this gorgeous table is a showpiece for your home. I want one and some day I will have it. Got any other favorites? Let us know in the comments.